The first of a range of new JCB site dumpers are now rolling off the company’s World HQ production line – including the unique Hi-Viz model which brings new levels of safety to the market. 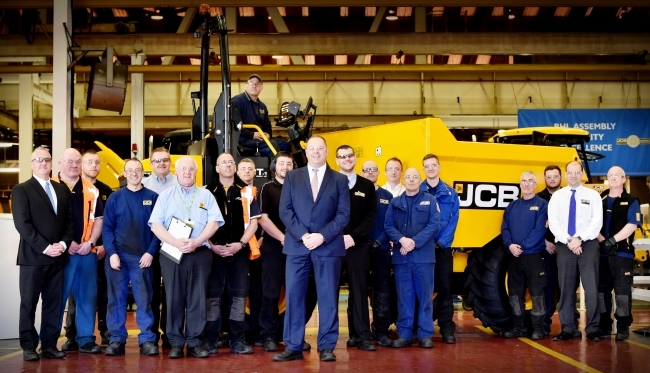 JCB announced plans to manufacture its own range of the popular machine last year and production is now underway at Rocester, Staffordshire – a move which will create 70 new jobs in the next 12 months. The range being produced includes the innovative seven-tonne payload JCB 7T-1 Front Tip Hi-Viz model designed to directly address growing industry concerns over accidents and serious injuries involving site dumpers on construction sites. The complete range is compliant with the latest safety legislation including ISO 5006:2017 and EN474. It is part of a range of eight other site dumper models for the one to nine tonne market. The biggest market for the machines is the UK and Ireland followed by France. 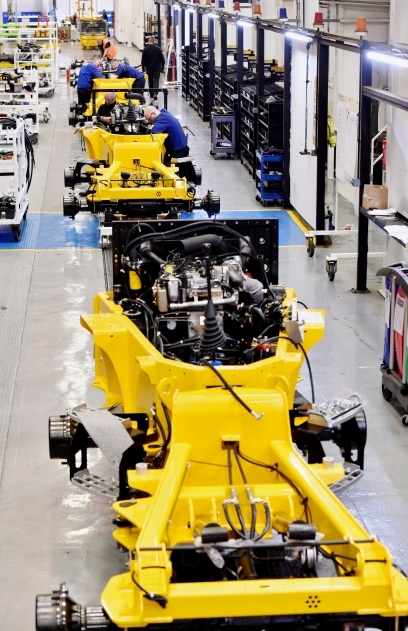 JCB Site Dumper Managing Director Richard Butler said: “We are delighted that manufacturing is underway in the UK for a brand new range of JCB site dumpers, which will bring new levels of safety to the market through innovation. The JCB 7T-1 Front Tip Hi-Viz model features a reduced skip height and unique design which delivers huge improvements in visibility, while a longer wheelbase and lower centre of gravity boosts stability. Operator protection is assured through a ROPS/FOPS Level II JCB SITESAFE cab, which incorporates an integrated protection system, potentially allowing the operator to remain in the cab while being loaded.